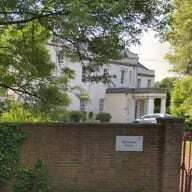 The watchdog issued a £4,000 fine to the National Autistic Society (NAS) following a review by the Somerset Safeguarding Adults Board last year that assessed allegations of bullying and disrespectful behaviour towards residents at Mendip House. The CQC began steps to cancel the registration of the home in 2016 after receiving safeguarding concerns from staff members but the NAS decided to close the service and it was removed from the register in November of that year. Ms Westhead said the CQC had insufficient evidence to prosecute the NAS. She added: “The descriptions of abuse at Mendip House are extremely distressing and the final decision not to proceed with the prosecution was a complex and difficult one. Separately, the police explored the possibility of criminal prosecutions against individuals but were also unable to proceed due to lack of corroborating evidence. The post CQC under fire over failure to prosecute charity over abuse findings appeared first on Care Home Professional.